Dr. Arnold Edward Levenson, WAØEHA, age 96, of Manhattan, Kansas, passed away at Meadowlark Hills on April 8, 2017. Born July 16, 1920, in Salem, Massachusetts, he was the son of the late Louis and Minnie (Polansky), Levenson. Arnold was preceded in death by his loving wife of 71 years Francis (Fulbright) Levenson, sisters Anne Salloway and Sophie Katz. He is survived by his sons, Larry Levenson of Kansas City, Missouri, and Lee (Anne) Levenson of Appleton, Wisconsin, and grandson Andrew Levenson of Searcy, Arkansas. Arnold was a loving husband, father, grandfather and friend to all. He attended Northeastern University, graduated from the Massachusetts School of Physiotherapy, and received a degree in Surgical Podiatry from the Ohio College of Podiatric Medicine. He joined the US Army in 1942, and as one of the few individuals with specific training in the medical use of x-rays, the army declared him as "essential to the continental limits of the United States." His active military service was completed as Chief Enlisted Technician of the x-ray department at O'Reilly General Hospital in Springfield, Missouri. Dr. Levenson established his podiatric medical practice in Manhattan in 1949, and retired in 1985. During his career and well into his retirement, Arnold's interests were centered around communications. He was a long-time ham radio operator, consulted on 911 telephone systems and emergency and civil defense communications and served as the Kansas Coordinator of Military Assistance to Safety and Traffic in conjunction with Fort Riley. He also served the community in several capacities, including participation as a member of the County Commission, City Commission and School Board. A special thank you to the Sloan House staff at Meadowlark Hills and Hospice for their loving care and support. Arnold will be laid to rest with Military Honors at 1:00 p.m. on Wednesday April 12, 2017 at the Kansas Veteran's Cemetery at Fort Riley, Manhattan, Kansas. Memorial contributions may be made to the Manhattan Church of Christ or to the Manhattan Jewish Congregation, in care of the Yorgensen-Meloan-Londeen Funeral Home 1616 Poyntz Avenue, Manhattan, Kansas 66502. Online condolences may be left for the family through the funeral home web site at: www.ymlfuneralhome.com. G. Cleve Humbert, KCØFWQ, age 89, of Manhattan, Kansas, died Wednesday, February 18, 2015, at the Meadowlark Hills Retirement Community - Collins House in Manhattan. Cleve was born on October 22, 1925 in Arkansas City, Kansas, the son of Oscar and Polly (Hayden) Humbert. He graduated from Arkansas City High School in 1943. He joined the United States Navy after high school and served during World War II from 1943 until 1947 as a U.S. Navy Aviator. He continued serving in the Navy in the Naval Reserves from 1947 until 1956. After his service time in 1947, Cleve attended Kansas State University. He graduated in 1951, and earned his Bachelor of Science Degree in Architecture. Cleve worked for Martin K. Eby Company, Wichita, Kansas, and also Kansas City Public Works. Cleve then became an independent contractor and consultant in the Kansas City area. On February 21, 1953 in Kansas City, Cleve was united in marriage to Sally Peterson. Sally was also a graduate of Kansas State. She was the first woman to graduate in Architectural Engineering. Cleve and Sally were both very proud of being KSU graduates. They lived on their houseboat for many years. They enjoyed every minute of traveling on their boat. They met many people on their travels, and enjoyed the whole experience of the rivers. In the mid 1990s, Cleve and Sally moved to Manhattan. Cleve was a member of Sigma Alpha Epsilon Fraternity, a KSU College of Engineering Seaton Society Founder, former member KSU College of Architecture Planning and Design Dean's Advisory Council, KSU Charter Member of the Wabash Cannonballers, KSU Foundation President's Club, Milton Eisenhower Society, KSU Foundation Land Grant Legacy Society, KSU Foundation Trustee, KSU Ahearn Club, KSU Alumni Association, Manhattan Catbackers, Marianna Kistler Beach Museum of Art, served on the Board of Visitors & Friends of the Beach Advisors, the Board of Directors for the friends of the K-State Libraries, The Grand Lodge of Kansas-Lafayette Lodge #16, a Life Member of American Legion Post # 17 in Manhattan, and was a Diamond Donor of the Kansas Masonic Foundation. He was also a licensed amateur radio operator. Cleve loved to attend annual jazz festivals with his friends, and was loyal supporter and season ticket holder for all K-State men's and women's sports. Cleve will be remember as a valued member of the Kansas State family, especially the College of Architecture, Planning and Design. He will also be remembered as a true K-Stater. Cleve was a member of the Trinity Presbyterian Church in Manhattan, where he served as Deacon. His wife, Sally preceded Cleve in death in 1999. He was also preceded in death by their son Erik in 1993. Cleve is survived by his nieces and other family members, and also his KSU family and friends. A visitation will be held from 4:00 until 7:00 p.m. on Thursday February 26, 2015 at the Yorgensen-Meloan-Londeen Funeral Home in Manhattan. Private services will be held in the Riverview Cemetery in Arkansas City, Kansas at a later date. Memorial Funds are suggested to the KSU Foundation. Contributions may be left in care of the Yorgensen-Meloan-Londeen Funeral Home, 1616 Poyntz Avenue, Manhattan, Kansas 66502. Online condolences may be left through the funeral home web site at www.ymlfuneralhome.com. 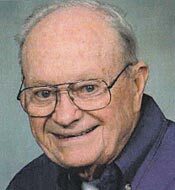 G. Earl Slagle, WAØKEA, age 88, of Manhattan, Kansas, died Tuesday evening, August 26, 2014, at the Good Shepherd Hospice House in Manhattan. He was born on December 23, 1925, in rural Beeler, Kansas the son of Vern and Ivy (Prose) Slagle. During WW II, Mr. Slagle served as a Merchant Marine until his honorable discharge in 1945. On September 16, 1945, in Dighton, Kansas, he was united in marriage to the former Wanda I. Orrell. They made their home in Manhattan for over 60 years. Mrs. Slagle preceded him in death on March 12, 2014. Mr. Slagle was a longtime employee of Kansas State University where he worked as a Forestry Technician, prior to his retirement in 1990. Following his retirement he went to work for Winrock International which was working on a reforestation project in Pakistan. Mr. Slagle was a member of the United States Merchant Marine Veterans of World War II, the Yard Art Classics Car Club of Manhattan and founding member of CREST (Citizens Radio Emergency Standby Team) in Manhattan. Outside of his memberships he was an artist, with a permanent exhibit of his artwork at the Grassroots Art Center in Lucas, Kansas. Other areas of interest were being a poet, inventor, private pilot, world traveler, gardener, beekeeper and wood and metal worker. He is survived by three sons: Tom Slagle and his wife Tammy, Lincoln, Kansas; Gary Slagle and his wife Rhonda, Belvue, Kansas; Stacy Slagle and his wife Norma, Wamego, Kansas and one daughter: Julie Slagle and her partner M.L. of Manhattan, Kansas. Also surviving are four grandchildren: Shannon Showalter and his wife Tawnia, Perry, Kansas, Jared Slagle and his wife Jessica, St. Marys, Kansas, Matthew Slagle, Wamego, Kansas, Melissa Janulis and her husband Wade, Manhattan and three great grandchildren: Tate and Hailey Showalter and Cooper Slagle. He is also survived by one brother: Eldon Slagle, Manhattan, Kansas and a sister-in-law: Gertrude Slagle of Pratt, Kansas. In addition to his wife Wanda, he was also preceded in death by one daughter: Ronda Bassett, a grandson: Strider Showalter, three sisters: Velma Slagle Stout, Bernie Slagle Sculley Nauerth, Neva Slagle Bollinger and a brother: Floyd Slagle. The family will receive friends during a visitation from 6:00 until 7:30 p.m. Tuesday, September 2, 2014, at the Yorgensen-Meloan-Londeen Funeral Home. Memorial services will be held 10:00 a.m. Wednesday, September 3, 2014, at the Yorgensen-Meloan-Londeen Funeral Chapel with Reverend Wesley Paddock officiating. Inurnment of the cremated remains will be held at a later date in the Buda Cemetery near Beeler, Kansas. On-line condolences may be left for the family at the Yorgensen-Meloan-Londeen Funeral Home website by clicking on "Send Condolences." Memorials have been established for the Manhattan Arts Center, Manhattan, Kansas and for the Grassroots Art Center, Lucas, Kansas. Contributions may be left in care of the Yorgensen-Meloan-Londeen Funeral Home, 1616 Poyntz Avenue, Manhattan, Kansas 66502. Wanda I. Slagle, NØQEL, 86, of Manhattan, died Wednesday, March 12, 2014, at the Stoneybrook HealthCare Center in Manhattan. She was born on July 8, 1927, in Beeler. She was the daughter of Auburn "Aub" and Irene (Johnson) Orrell. Wanda graduated from Beeler High School in 1945. On Sept. 16, 1945, in Dighton, she was united in marriage to Earl Slagle, WAØKEA. Together they made their home in Manhattan for the past 60 years. In addition to being a loving wife, mother and homemaker, she was also a clerk/typist for the Derby Food Center at Kansas State University prior to her retirement. Outside of her career, she enjoyed traveling, and especially loved spending time with her large family. Her hobbies included collecting glass baskets, of which she had a collection that exceeded 300. She also was an avid reader and writer, and was a former member of a local writers group. She is survived by her husband, Earl Slagle, of their home in Manhattan. Also surviving are three sons, Tom Slagle and his wife, Tammy, of Lincoln; Gary Slagle and his wife, Rhonda, of Belvue; Stacy Slagle, NØKMC, and his wife, Norma, of Wamego; and one daughter: Julie Slagle, and her partner, M. L., of Manhattan. Four grandchildren and three great grandchildren also survive. Wanda was preceded in death by her parents; by one daughter, Ronda Bassett; and by a grandson, Strider Showalter. The family will receive friends during a visitation from 6 to 7:30 p.m. Sunday, at the Yorgensen-Meloan-Londeen Funeral Home. Memorial services will be at 10 a.m. Monday at the Yorgensen-Meloan-Londeen Funeral Chapel, with the Rev. Wesley Paddock officiating. Cremation has been chosen, and inurnment will be at a later date in the Buda Cemetery at Beeler. Online condolences may be left for the family through the funeral home web site located at www.ymlfuneralhome.com. A memorial has been established for the Manhattan Public Library Foundation. Contributions may be left in care of the Yorgensen-Meloan-Londeen Funeral Home, 1616 Poyntz Ave., Manhattan, Kansas 66502. Lila Alene Wrigley, KAØDAT, 87, of Manhattan, died Monday, September 16, 2013, at the Good Shepherd Hospice House in Manhattan. Lila was born March 14, 1926, in Osborne County, to John and Mary (Pearson) Simmelink. She was a graduate of Osborne High School in 1943, attended both Fort Hays State College and Kansas Wesleyan College during and following the years of WWII. She married L. Paul Wrigley on July 20, 1947 at University United Methodist Church in Salina, where they lived until 1970, when they moved to Manhattan. Paul preceded her in death in 1988. Her two children, Reseda Julene Wrigley Mickey of Los Angeles, Calif., and Dr. Owen Paul Wrigley of Vienna, Va., together with his wife, Le' Le' Elizabeth Wrigley, and their daughter, Htet Htet Wrigley, were at her bedside. In addition to her children and granddaughter, she leaves three older grandchildren and seven great-grandchildren. She was preceded in death by her parents, husband, and two brothers, Ernest Simmelink, Lawrence J. Simmelink, and her stepmother Lillie Clark. She was a member of First United Methodist Church in Manhattan, Lone Wrangler's Square Dance Club, Chapter 209 Order of Eastern Star, United Methodist Women, Manhattan Area Ham Operators Club, former Girl Scout leader, American Legion Auxiliary Unit 0017, area book clubs, and, most of all, traveling. Lila was a homemaker and a medical secretary for Dr. Philip Hostetter, Beltone Hearing Aid, and Dr. Glenn Eaton in Salina. Visitation will be from 9 a.m. to 8 p.m. Thursday at the Irvin-Parkview Funeral Home chapel. A funeral service will be at 1 p.m. on Friday at the Irvin-Parkview Funeral Home & Cremation Chapel in Manhattan, with the Rev. Amy Bowers officiating. Interment will follow at the Beaman Cedar Grove Cemetery, Rural Alta Vista. The family request donations to the Good Shepherd Home Care & Hospice House, 3801 Vanesta Drive, Manhattan, Kansas. For more information or to submit an on-line condolence, visit irvinparkview.com or on Facebook. 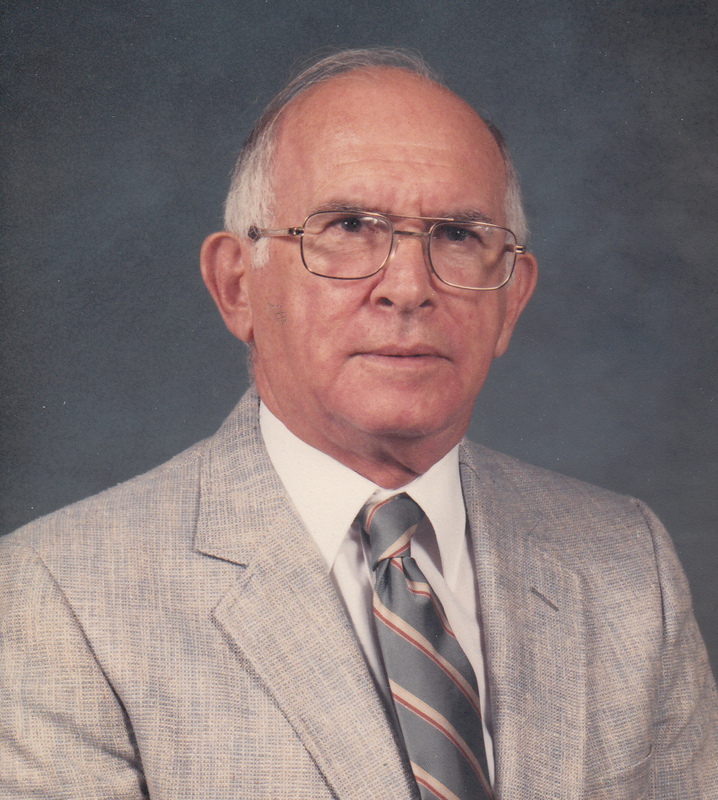 Fred Clarence Stueve, KØTCS, 88, of Wamego, Kansas, passed away Friday, May 24, 2013 at Valley Vista Good Samaritan in Wamego, Kansas. Fred was born July 29, 1924 on the family farm in rural Latimer, Kansas. He was the son of Henry and Martha (Brunswick) Stueve. Fred's family moved to Junction City, Kansas in 1929 where he grew up and attended schools graduating from Junction City High School in 1943. After high school Fred was drafted into the United States Army on May 24, 1943. During World War II, Fred served in the 20th Armored Division, 412th AFA Bn, when his tank unit liberated Dachau. After the Army he returned to Junction City in 1946 where he attended Kansas State University for one semester, before accepting a position with the Kansas Power and Light Company at the Riverside Power Plant at Abilene in 1947. On May 11, 1950 Fred was united in marriage to Nadine Ruth Karman in rural Junction City, Kansas. She survives of their home in Wamego. Fred worked for 30 years, at Riverside Power Plant, before moving to Wamego, Kansas after being transferred to Jeffrey Energy Center in 1977. He worked as an Electrical Maintenance Supervisor until his retirement in 1986. Fred enjoyed golfing, fishing, camping, attending Kansas State University sporting events and Ham Radio (KØTCS, General Class). He was a member of Mt. Calvary Lutheran Church of Wamego, VFW Post #1258, MAARS, the American Legion Post #172 and 20th AD Association. Fred is also survived by his four daughters: Susan Lunas and husband Les of Eugene, OR, Betty Schwoebel-Mills and husband Joe of Arlington, VA, Bonnie Kurka and husband Miro of Tulsa, OK and Nancy Dekat and husband Greg of Belvue, KS; seven grandchildren: Lara, Brit, Andrew, Michaela, Matt, Andrea and Ashley and three great-grandchildren: Brooke, Nautami and Rylar. Fred was preceded in death by his parents, two brothers: Walter and Gilbert Stueve and one sister: Esther Kennedy. Funeral services for Mr. Stueve will be held at 10:00a.m., Tuesday, June 4, 2013 at Mt. Calvary Lutheran Church, Wamego. Burial will follow at St. Paul's Lutheran Cemetery (Clark's Creek) in rural Junction City, Kansas with full military honors. Fred will lie in state beginning at 1:00 p.m. Monday, at the Stewart Funeral Home of Wamego, where a visitation will be held that evening from 6:00 p.m.-7:30 p.m. In lieu of flowers memorial contributions may be made to the Mt. Calvary Lutheran Church-Building Fund or to the American Legion Post #172, and may be left in care of Stewart Funeral Home, PO Box 48, Wamego, KS 66547. Dona-Rose Katherin Hackerott, NØZKX, 81, of Manhattan, Kansas, died peacefully on April 15, 2013, at Good Shepherd Hospice House in Manhattan. Born September 12, 1931, in Ogden, Kansas, she is predeceased by her parents, Walter L. Hewes and Laverne J. Allen, step-father Manuel J. Novak, and triplet children, two boys and one girl, born and deceased in December 1961. She was married to Fredrick William Hackerott on April 10, 1959, at First Lutheran Church in Manhattan. Dona-Rose was a homemaker and mother. Blind from the age of 12, she acquired Tawny, her first Seeing Eye dog, in 1973. Her partnership with Tawny opened a whole new world of independence for her. She began attending psychology classes at Kansas State University as a "non-traditional" student. Always active in local and state associations for the blind, she worked especially hard to pave the way for other blind individuals with dog guides. Always seeking a new and stimulating endeavor, she acquired her license as a ham radio operator in 1993 and quickly became the net controller of a Tuesday night net. Her many creative endeavors included caning chairs, hooking rugs, knitting, and especially crocheting. Her creative interests led her to found Crafty Seniors +, a group of local artists and craftspeople, still active today. Up until the date of her death, she regularly crocheted lap robes to donate to residents of local nursing homes. Her passion for crocheting turned into a small cottage industry of sorts, and for many years she was affectionately referred to by the nickname of "the poop-duck lady." A strong and creative spirit, unfailingly cheerful, patient and tolerant; a strong, wise, and always-loving mother; a true-blue friend with a ridiculously huge silly streak; a compassionate and interested listener who never judged; a lover of animals, hot-fudge sundaes, and dance-skating. She loved to laugh, she loved her family, she loved her dog(s). She had the utmost faith in her God. Her highest and constant wish always, that her family and her friends be happy. Dona-Rose is survived by her husband, Fredrick (of the home); her sons Gary (Linda) Grubbs, Michael (Donna King) Moore, Lonny (Jean) Moore; and daughter Jody (Art) Gibney; brothers Buck (Kay) Hewes, Dean (Debbie) Hewes, Bobby (Barb) Hewes, Eugene Hewes; and sister Sheila (Richard) Johnston; grandchildren Brandon (Dawn-Marie) Grubbs, Michelle (Ryan) Markvicka, David (Jessica) Wakefield, Lonny Moore, Jr., as well as seven great-grandchildren and many close friends. The family wishes to extend their heartfelt gratitude to Good Shepherd Hospice House and its many lovely and kind staff for their care and support in her final days. In lieu of flowers, Dona-Rose has requested that donations be made to Second Chance Animal Refuge Society, P.O. Box 22, Auburn, KS 66402. Donations may also be made in Dona-Rose's name to Kansas Specialty Service Dogs, 124 W. Street, Washington, Kansas. Please bring your best Dona-Rose stories (and maybe even your poop-ducks), wear your brightest colors and your biggest smiles, and join the family in a celebration of Dona-Rose's life at First Lutheran Church, 930 Poyntz Ave., Manhattan, on Monday, May 13, 2013, from 1:00 to 2:30 p.m.; inurnment to follow at the Columbarium Wall at the Veterans Cemetery, 5181 Wildcat Creek Rd., Manhattan. Online condolences may be left for the family by clicking here. The Yorgensen-Meloan-Londeen Funeral Home, 1616 Poyntz Avenue, Manhattan, Kansas 66502 is assisting the family with the funeral arrangements. John R. Stanesic, WØCEM, 81, of Manhattan, died Feb. 21, 2013 at Manhattan Mercy Hospital. The family provided some of the following information. John Richard Stanesic was born Aug. 5, 1931, in Omaha, Neb., to John and Mary Stanesic. After graduating from Omaha's South High School, he attended Creighton university and completed Creighton's Master Academy of General Dentistry. A five-year stint in the U.S. Army would bring the young doctor to the Fort Riley, Junction City area where he created a thriving dental practice and a large, loving family. He married Joenne Flynn in August 1953. They had five children, Beth, Teri, Edward, Corey and Matthew. Known to just about everyone as "Doc," John was a member of the American Dental Association and a lefetime fellow of the Academy of General Dentistry. John was long a pillar of the Junction City community, serving on the Junction City Public School Board, the Geary Community Hospital Board, and as a member of the Junction City Chamber of Commerce. He was also long active in the Knights of Columbus, Elks Club and Junction City Booster Club. He wa a fixture at Junction City Senior High School athletic games and events. He was a deeply involved and faithful member of St. Xavier Catholic Church. John's interests were many and eclectic. He was an expert ham radio operator. To his family and friends, the radio tower behind his house on Meadow Lane was almost as iconic as the Junction City water tower just behind it. John was a frequent competitor in international radio competitions and from his basement on a hill on the plains of Kansas, he routinely won the contests by making the most international contacts, once even making contact with the International Space Station. The Stanesic house is a museum of his ingenuity, filled with the brilliant conveniences and work-arounds that were constantly tumbling from John's effervescent mind. The same hands that gave such loving and precise care to the mouths and teeth of so many were also extremely talented in the arts. John created beautiful works of stained glass. His jewelry creations and silversmith work led to a very robust and popular following at art shows and jewelry sales, not only in Kansas but in his and Joenne's frequent travels to Arizona and south Texas. As an ardent boater and fisherman, John loved outdoor adventure travel to Alaska, Canada, Oklahoma and Texas. He was a Midwesterner through and through. John's perfect day would include a crisp walk through a Kansas field with faithful dogs leading the way, shotgun at the ready, while chasing pheasant and quail. His converted school bus was a common sight at Milford Lake. His years of fatherhood meant a long string of endless ski runs, campfires and fish fries. As a member of Junction City Country Club, John also had a long love affair with tennis and golf. The abiding love affair of John's life was for his wife, Joenne. In 60 years of marriage, the Stanesic house was filled with love, laughter and always children. First their own, then the friends of their own, then grandchildren and great-grandchildren. It was also filled with their creations and passions - John's glass and silver and Joenne's hand-hooked rugs and antiques. John was preceded in death by his parents and daughter, Teri. 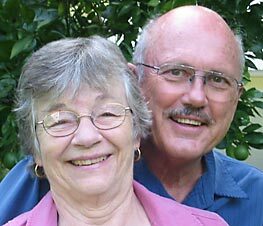 He is survived by his wife Joenne of Junction City; sister and brother-in-law, Mary Lou and Steve Cavlovic of Omaha, Neb. ; children, Beth Lull, Edward Stanesic, Corey Scillian and Matthew Stanesic; sons-in-laws, Dennis Lull, Steve Brown and Devin Scillian; daughter-in-law, Cindi Stanesic; 14 grandchildren; and eight great-grandchildren. A memorial service will be at St. Xavier Catholic Church in Junction City at 11 a.m. March 4. John's ashes will be interred at St. Mary's Cemetery in Junction City. It was John's wish that any contributions in his memory be given to the St. Xavier Capital Fund, P. O. Box 399, Junction City, KS 66441. To leave an online message for the family, visit www.penwellgabeljunctioncity.com. William Rex "Bill" Berry II, KCØAX, 70, of Manhattan, died Oct. 26, 2011 at the Friendship House in Cañon City, Colorado. The family provided some of the following information to the Manhattan Mercury. He was born on May 20, 1941 in Valley Center, KS to Rex and Mardell (Danner) Berry. Bill graduated from Valley Center High School, attended Emporia State University where he received his undergraduate, and then went on to Pittsburg State University, where he earned his Master's. He was a teacher for many years and then went on to work in school administration. Bill was the director of the Manhattan Area Vocational Technical School in Manhattan from 1976 to 1996. Later, it became the Manhattan Area Technical College, which he played a key role into making a reality. He was president from 1996 until he retired in 1998. Bill was a leader in technical education for many years, served on several statewide committees, testified many times to legislators and was on the cutting edge of technical education. Bill is survived by his daughters, Kim Berry Hodge of Ottawa, and Trisha and her husband Jeff Berry Robinson of Richardson, Texas; grandchildren, Paige, Jaime, Brenna, Jordanne, and Layne; brother, Tom and his wife JoAnn Berry of of Penrose Colo.; and sister, Becky and her husband John Summerville of Marion, KS. He was preceded in death by his parents. 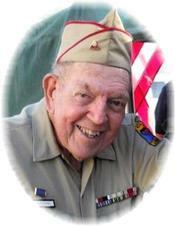 A Memorial Celebration will be held Nov. 26, 2011 at the United Methodist Church in Valley Center at 10:30 a.m. In lieu of flowers, donations may be made to Fremont Regional Hospice at P.O. Box 246, Cañon City, CO 81215 or to the Alzheimer's Association, Rocky Mountain North Chapter, 4104 Outlook, Blvd., Bldg. B, Pueblo, CO 81008. Dr. John Marr, WBØWAY, 90, of Manhattan, died Tuesday, May 3, 2011 at Mercy Regional Health Center in Manhattan. John was born June 15, 1920, the son of John H. Marr and Leta M. Marr, in Jefferson City, Mo., and grew up in Sedalia, Mo. He was married to his recently deceased wife, Ada Pearl Marr, on May 28, 1949. John served in the United States Navy during WWII as a Navy lieutenant assigned to the USS Maryland battleship, as an engineering officer. Mr. Marr received his bachelor's degree from Central Missouri State University, and his master's degree in mathematics from the University of Columbia. John received his doctorate in mathematics from the University of Tennessee. John retired as a professor of mathematics at Kansas State University. Mr. Marr is survived by his brother, James Marr, and his wife, Esther, of Tulsa, Ok; son, Steven K. Marr, and his wife, Eloise, of St. Charles, Mo. ; step-daughter, Marcia K. Geraci, and her husband, Ronald, of Norwood, Ga.; and grandchildren, Debra Nelson Schmidt, Erin K. Marr and Jamison J. Marr. He was preceded in death by his father and mother; former wife, Norma Craig Marr; recent wife, Ada Pearl Marr; and brother, Marshall Marr. A funeral service will be 11 a.m. Monday, May 9, at Irvin-Parkview Funeral Home. The family will receive friends one hour prior to the service. Burial will be 2 p.m. Tuesday, May 10, in the Memorial Park Cemetery in Sedalia, Mo. Dr. Norman Gregg Dillman, NØJCC, 72, of LaBelle, Florida, died Sunday, Nov. 21, 2010 at his home in LaBelle. For the last two years, he fought Mantle Cell Lymphoma, and was tireless in his efforts to find his cure for this disease. Norm was born on Sept. 5. 1938, in Warren County, Iowa, to Avis and Frank Dillman. He went to Indianola, Iowa schools, and later attended Iowa State University, where he completed his master's and doctorate degrees in Electrical Engineering. Norm worked at the University of Rolla, Missouri as a professor, and then continued his career with Hewlett Packard as a development engineer. Hewlett Packard allowed him the opportunity to travel to Malaysia, Vietnam, Puerto Rico and Russia. He was a published researcher and was responsible for six patented electrical devices. Later, he was a professor at Kansas State University, where he was advisor to the school Solar Car team. He retired from Kansas State University as Professor Emeritus in 2005. He was always involved in the communities in which he lived. He was an active HAM radio operator. He was named as Kansas HAM radio operator of the year. As NØJCC, he worked with the Manhattan, Kansas and LaBelle Emergency Operation Centers, setting up and working radios during all types of emergencies. He had a great love for owls, and became involved in working with the Audubon Society, Humane Society, and the Clinic for the Rehabilitation of Wildlife (CROW) in Sanibel. He loved to share his knowledge of this noble bird, and spent several years hosting talks to LaBelle's school children, and became known as the "Owl Guy" by many children in town. He rescued several owls after they became injured and took them to CROW to be rehabilitated, and when the birds were ready, he had the great pleasure of watching them be released back to their native habitat. He also had two special barred owls that came to visit his yard every evening, and Norm invited many to come and see his special birds. Norm was married to his high school sweetheart, Phyllis, on August 10, 1957. They spent their years together living in Iowa, Missouri, Colorado, Southeast Asia and Puerto Rico. Norm is survived by his wife, Phyllis; his children, David and wife, Kara; Linda and husband, Michael McVey; Mark and his wife, Jill. Also, his grandchildren, Meghann and husband, Stan; Connor, Brennah, Nicole, Jack and great-grandson, Brayden. He is also survived by his sister, Doris Gene Kauzlarich and his nephews, Mike and Greg. Norm leaves many dear family members and good friends to remember and cherish his memory. Lt. Col. (Ret.) LeRoy Richard Waterman, WAØVNW, 89, died at his home in Manhattan Monday, July 7, 2008. The family provided some of the following information. He was a retired Air Force officer with 27 years service who resided in Manhattan since 1970. He was born to Wave Dabner Waterman and John Henry Waterman in Morrowville, Feb. 20, 1919. As a young man growing up in rural Washington County, Roy had three ambitions: marry his sweetheart, fly airplanes and live in Hawaii. Roy realized his first ambition by marrying his childhood sweetheart, Velma Irene Odgers, June 30, 1940, and they were together almost 60 years before Velma passed away April 4, 1999. He accomplished his second goal in 1942 when he began flight training in San Antonio as an Army aviation cadet. After completing pilot training in the spring of 1943, he was assigned to the 12th Air Force, Mediterranean Theater of Operations, where he flew 53 combat missions in B-25 bombers in support of Allied ground operations in Italy. Upon return from overseas he was selected for a regular commission in the newly established US Air Force, and was engaged in pilot training until being assigned to attend Kansas University to complete a degree in business administration. With the advent of the Korean conflict he served with the Fifth Air Force in Korea for two years, and returned to the States for assignment to headquarters, US Air Force in Washington D.C. During his duty at the Pentagon, Roy worked in the Industrial Resources office where he was involved in the development of titanium as a material for aircraft uses, and the procurement and installation of heavy forging and extrusion processes for that metal. Roy realized his third boyhood dream in 1954 when he was assigned to Hawaii as commander of Bellows Air Force Base. There he enhanced the base with rest and recreation facilities that remain popular with the military today. He later served as professor of Air Science at the University of New Mexico, then returned to Washington, D.C., as deputy director of the Industrial College of the Armed Forces and as a lecturer for the National Security Seminar, traveling throughout the U.S. briefing civilian communities on national security and defense issues. His last major assignment was as the senior US military advisor to the Korean Air Force in Seoul, Korea. His military decorations included the Distinguished Flying Cross, Air Medal and Bronze Star. Roy retired from the Air Force in 1970 and moved his family to Manhattan where he was associated for several years with Manhattan's Chamber of Commerce. Roy's first priority was always to be a dedicated husband and father. An avid reader, Roy pursued an amazing range of interests. He had an inquisitive and creative mind and was an accomplished woodworker, amateur radio operator and general "tinkerer." He was a man of letters, a man of character and a man of honor. And he grew great beefsteak tomatoes! He was a life member of the Lafayette Masonic Lodge No. 16, and was active in Shriners. Surviving family include four children, 18 grandchildren, 21 great-grandchildren and one sister. Children include Charity Bushey and husband Max of Parker, Colo.; Fred Waterman and wife Marjory of San Antonio, Texas; Charlotte Francis and husband Bill of Kaysville, Utah; and John Waterman and wife Pamela of Mesa, Ariz. Also surviving is one sister, Wilma Wave Wheeler, of Salina. The family requests that in lieu of flowers, donations be made to the Shriners Hospital for Children, P.O. Box 2778, Salina, KS 67402 or in care of the Yorgensen-Meloan-Londeen Funeral Home 1616 Poyntz Ave., Manhattan, KS 66502. A private memorial service will be held at the Washington City Cemetery, Washington, Kan., at a later date. There will be no visitation as the body was cremated. Online condolences may be left for the family through the funeral home Web site at: Yorgensen-Meloan-Londeen Funeral Home. Julie Louis (Applegate) Eichem, NØQIL, 67, Wamego, died Sunday, March 18, 2007, at her home. Joanie Cook of Abilene is a daughter. She was born May 18, 1939, in Wamego, the daughter of Hugh Fredrick and Lena Margaret (Ault) Applegate. She attended school in Wamego. She married Donald Dale Eichem on June 9, 1956, at St. Bernard's Catholic Church, Wamego. Mrs. Eichem worked for 27 years at the Riley County Public Works Department. She then worked in the Adjunct General's office for the State of Kansas for five years, before retiring in 2004. She was also the city clerk of Louisville for several years. She was a member of the Kansas Emergency Management Association, St. Bernard's Catholic Church, Wamego Historical Society, Red Hat Society and the L.A.L. Club. Other survivors include her husband, Donald of the home; two sons, Dan Eichem of Wamego and Tony Eichem of Belvue; three grandchildren; and other relatives. Kermit R. Fairbanks, KBØEEF, 80, of Onaga died Wednesday, November 1, 2006. He was born on April 13, 1926 at St. Clere, the son of Lloyd and Marie Brunkow Fairbanks. He graduated from Emmett High School in 1944. Kermit owned and operated Fairbanks Motor and Electric, the Ford Dealership in Wheaton, and was also the mechanic there. He later sold Snap-On Tools for six years, then owned and operated the Green Light Parts Store in Onaga. He retired in February of 1988. He was a member of the Kaw Valley Amateur Radio Club in Topeka and the Hiawatha Amateur Radio Club. He loved his country, the flag and animals. Kermit married Marcella Jean Honig on July 4, 1948 at Duluth. She survives of the home. He was preceded in death by a son, Gary Fairbanks, who died June 26, 1980, a son-in-law, Rick Clements, and a brother, Lloyd Fairbanks. Other survivors include four daughters, Sandra Kay Brunkow, Emporia, Kathy Sue Clements, Washington, Iowa, Connie Jo Twiss and husband Kirk, Chicago, and Kristi Lou Forrester, Broken Arrow, Oklahoma; two sisters, Rose Marie Kirk, Oklahoma City, and Della May Jones, Chicago; five grandchildren, Lori Hobbscheidt, Shanna Toms, Jodi Reed, and Rachel and Anna Forrester; and five great grandchildren, Samuel and Ava Reed, and Cale, Tatum and Oliver Hobbscheidt. Roger Medlin, WØHLU, died on Jan. 1, 2004 in Manhattan. He was born on Aug. 5, 1922 in Kansas City, Mo., and grew up in Manhattan. He was married for 56 years to his wife, Donna. Roger served during World War II as a radio and radar operator in the U. S. Army Air Corps in Africa, Italy, China and Burma. He earned five Bronze Stars and attained the rank of Master Sergeant. Roger held B.S. and M.S. degrees in journalism from KSU. He worked for several newspapers, including the Wall Street Journal. He then joined the KSU College of Agriculture Division of Extension. Roger held an amateur radio license for 64 years, and was interested in antenna design and HF propagation. He was a member of MAARS spanning several decades. Don D. Dodge, WAØQJW, 85, Manhattan, died Saturday, Sept. 21, 2002, at a Manhattan hospital. Mr. Dodge helped redevelop Camp Funston at Fort Riley from a horse cavalry unit to a mechanized cavalry unit. He was a dealer of Aeronica private airplanes [and a pilot in his younger years]. From 1946 until 1952, he was a regional manager in charge of sales for Indian Motorcycles, and from 1953 to 1975 he was a dealer for Spartan mobile homes. He held the amateur radio call of WAØQJW for many years, and talked to his brother weekly via ham radio. Mr. Dodge was born Oct. 22, 1916, in Manhattan, the son of Merle and Sue Moyer Dodge. He graduated from Manhattan High School and attended Kansas State University. William "Bill" Dawes, WØIPV, died on Saturday, March 15, 1997 after a 5-month battle with brain cancer. He was 58 years old (born in April 1939). Bill was on the Electrical and Computer Engineering Faculty at Kansas State University. Bill was a very active ham as a young student, a college student, in Topeka where he worked for WIBW, and in the earlier days of MAARS, but recently he spent more "hobby time" in his airplane. Bill was very active in the KSU parachute club and often flew to their property in New Mexico. Bill was also active in a local electronics company, ICE Corp., that he and others started several years ago. Some of you hams will remember that Bill helped with communications for the 1996 World Endurance Horse Race, and impressed everyone at the 1996 KSU Open House with an impromptu demonstration of his CW skills at the KSUARC station. Clifford "Cliff" Simpson, WØYUQ, died on March 11, 1997 in Wamego, on his way to the hospital after a sudden heart attack. He was born on July 26, 1913. Cliff had lived in the Manhattan area for most of his life, except for World War II when he worked at the Naval Research Laboratory in Washington, D.C. Cliff could be considered an expert in at least two areas: fishing and electronics. He had an outdoor radio show for many years, and kept up with the times in electronics. He taught classes in computers and recently gave a program on slow-scan amateur TV at a MAARS meeting. He was also very active with amateur satellite communication. There are many good stories to tell about Cliff. Ask Roger Medlin, WØHLU the next time you see him to tell about the big fish that almost sank the boat or about Cliff using the railroad tracks as part of this Ham antenna system. If you would like to add more stories or comments, please e-mail us.